Of all of the Chesapeake Bay’s 100,000 miles of tributaries, Bird River is arguably the most severely impacted by sediment. But a combination of government funded projects and citizen advocacy for improved clean water law enforcement may bring about recovery of this waterway which is unprecedented with regard to speed. For more than four decades those who live on and near Bird River have been promised an end to the tremendous quantities of eroded soil and mud pollution that has filled in boating channels, decimated fish and crabs, depreciated property values, and caused an overall decline in quality of life. In the late 1990s Baltimore County and other agencies began a series of stream restoration projects designed to reduce sediment released through bank erosion. Finally, in 2001 a total of 27,000 feet of boating channels were dredged throughout the tidal river at a cost to taxpayers of $1.3 million. But within a few years portions of the channel had filled in once again. In 2014, a very poorly-planned development project caused Bird River residents to rise up and take matters into their own hands. Not only did they win changes that corrected much of the aquatic resource impact, but they began scrutinizing the effectiveness of clean water law enforcement throughout their watershed. This effort produced a nine-fold improvement in the quality of construction site mud pollution control. They are now pursuing other major sources of pollution. Bird River advocates can see a day in the very near future when all significant sediment sources are corrected and the River can be dredged again, but with far more lasting results. This effort illustrates why watershed organizations can only achieve the goal of fully restored waterways if they serve as vocal, politically savvy watchdogs while also pursuing clean-ups, education projects, tree plantings, household retrofits, etc. Up to the 1930’s Bird River was still known as a prime waterfowl hunting area and her waters teemed with bass, perch, herring and other fish. However, sediment problems began in the 1800’s with farming throughout the 26 square-mile watershed. Widespread forest clearance followed later in the century. Intensive mining came in the early 1900’s. Suburban development appeared in the 1950s and picked up pace after the Baltimore Beltway was built across the headwaters in 1961, then I-95 was completed a decade later. When the watershed was covered by forest, soil erosion rates were about 200 – 500 tons per square mile per year. A ton of sediment is equal to about a cubic yard. Most of the farming occurred before the advent of modern conservation so erosion rates were two- to five times higher than on forests. The most dramatic increase in soil erosion and sediment pollution came with mining then construction – up to 150,000 tons per square mille per year! The mud pollution released from a typical 20 acre construction site could damage three miles of downstream waters with recovery taking up to a century. For each dollar spent preventing construction site soil erosion we all save at least $100 in damages avoided. It was for these reasons that in 1970 Maryland became the first to adopt a statewide law requiring erosion and sediment control on construction sites. Other Bay watershed followed soon after. But the enactment of the Maryland law prompted those who cherish Bird River to demand strict enforcement. Dot Hinnant lives in a home built on Bird River in 1955. She fondly recalls how many years ago on warm summer evenings she and her husband would hop in their boat and motor from the head of Bird River to the Gunpowder, even reaching the Chesapeake Bay on occasion. 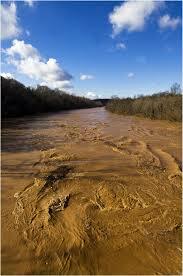 But the tremendous amount of mud pollution deposited in the River has made this impossible for decades. Also lost is the swimming, fishing, crabbing and other recreational opportunities that once made their Bird River dream home a great place to raise a family. The same is true for Dot’s hundreds of neighbors who also reside on the Bird River waterfront and the thousands of others who live nearby. The passage of the 1970 sediment control law prompted Dot and her neighbors to lobby County and State officials to enforce the law. 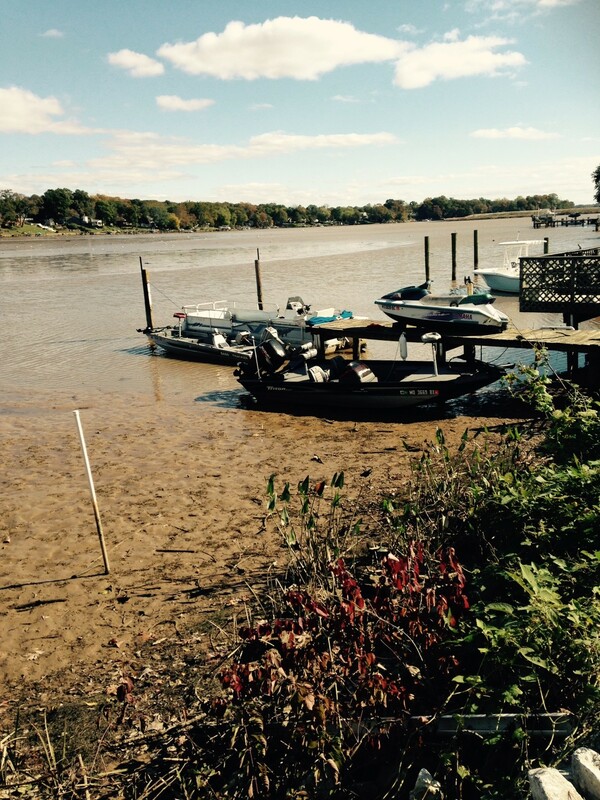 While their goal was to get boating channels restored through dredging of sediment from the River, they realized that as long as vast quantities of mud continued flowing from construction sites spread throughout the watershed newly dredged channels would quickly fill in. Today Dot Hinnant serves as the president of the Bowerman-Loreley Beach Community Association, a leading Bird River advocacy group. In 2001, Dot and her neighbors thought they had finally gotten the relief they’d been seeking for three decades. A boating channel was dredged throughout Bird River – from mouth to head totaling 27,000 feet at a cost to taxpayers of $1.3 million. But almost immediately the upper channel began filling in. Within five years the upper channel had lost half the dredged depth. For many Bird River boat owners the channel today is only useable at the highest of tides. This made it painfully obvious that the 1970 sediment control law had not succeeded in curtailing Bird River mud pollution. But it was not until 2014 that a horrendous train-wreck of a development project motivated those who cherish Bird River to rally once again to her defense. For 13 years muddy water flowed from Nottingham Ridge carried by this Bird River tributary! Nottingham Ridge is an 83-acre disaster proposed for a site next to Whitemarsh Run, the principal tributary to Bird River. The site was cleared and brought up to rough grade around 2001. About 5% of the site was developed and the other 95% was supposed to be planted in a thick, erosion-proof cover of grass. It appears an attempt was made to comply with erosion control laws by applying straw mulch and grass seed to the massive site. But we were in the midst of a drought back then so the grass never took and for 13 years vast areas of exposed soil eroded away. 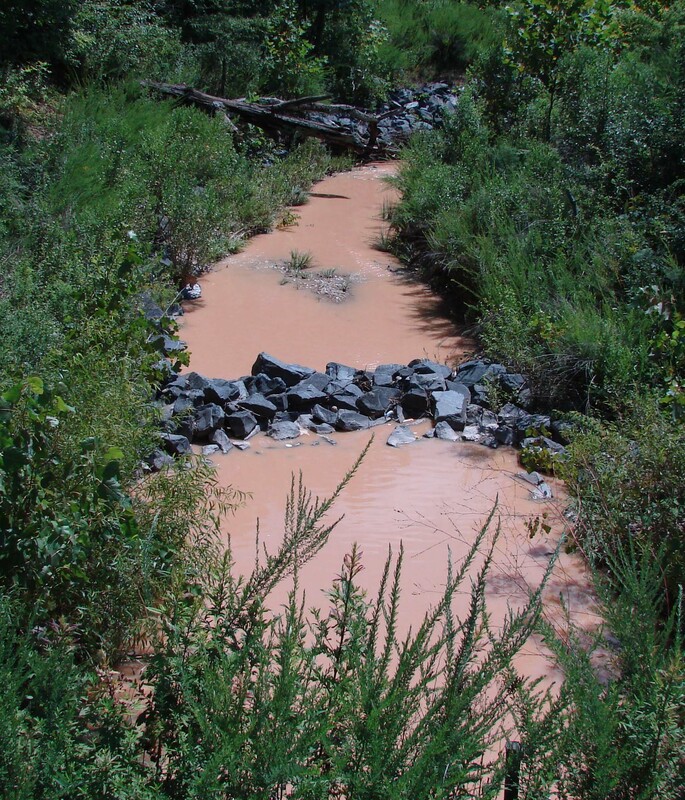 Many tons of sediment were carried by floodwaters into Whitemarsh Run and Bird River. For reasons that remain unclear, the County never required the owner to comply with the law by halting the erosion. To add even more insult to this injury, Baltimore County exempted the project from the Environmental Site Design requirements adopted in 2009. While one might assume the project couldn’t get worse the County allowed the use of antiquated, ineffective 1980s stormwater measures. As a result instead of retaining 80% to 95% of stormwater pollutants onsite, only a fourth to a third would be captured. This horrible project caused hundreds of Bird River residents to openly deplore the actions of County officials. The residents also contested the project at hearings held last fall. Fortunately a County Administrative Law Judge did require the project to use better pollution controls, but not the best. In the meantime Bird River advocates also succeeded in getting the County to require the property owner to halt the soil erosion which had been occurring since 2001! For further detail see Nottingham Ridge: An Example Why Bay Recovery Progresses So Slowly? Beginning last fall, Dot and other Bird River advocates began discussing how they could use the momentum created by the Nottingham Ridge success to improve sediment control and other clean water law enforcement programs. The author of this article, CEDS president Richard Klein, had grown up on Whitemarsh Run. As a child he watched as the stream went from supporting a dozen species of fish to but one over a ten-year period. After the beltway was built in 1961 he and his friends began encountering dangerous, quicksand like sediment deposits along the stream. This background and more than 44 years as a professional stream restoration expert brought Richard together with Dot and her allies. Together they mapped out a strategy for greatly accelerating implementation of the Bird River Small Watershed Action Plan just released by Baltimore County. Together they formed the Bird River Restoration Campaign. Janet Terry, who grew up on Bird River, as did her parents, stepped forward to serve as the Campaign’s president. On October 23rd Janet facilitated the Campaign’s first organizing meeting. With a standing-room only crowd the leaders presented their plan for quickly curbing construction site mud pollution. The plan consisted of a volunteer survey modelled after one carried out in June and July by 33 volunteers from a coalition of 22 local, statewide and national organizations. Known as the Greater Baltimore Survey, it consisted of an evaluation of 105 construction sites for compliance with erosion control laws. While the overall compliance rate for Baltimore City and five surrounding counties was 23%, construction sites in the Bird River watershed exhibited an appalling 5% compliance rate! More than half of those present on October 23rd signed up to participate in a survey focusing on Bird River construction sites. On November 15th, 27 volunteers attended a two-hour training session where they formed into twelve teams of two- to five-people. Over the next two weeks 58 volunteers participated in the survey. Each team was assigned a 2.5 square mile area of the Bird River watershed to survey for construction sites and other large areas of exposed soil. The surveys were performed by driving all the public roads ramifying each area. There was no need to trespass onto private property. Whenever volunteers encountered a construction site they used the Greater Baltimore Survey criteria to assess compliance. The Greater Baltimore Survey had generated a tremendous amount of publicity and public concern about the status of construction site erosion control. One of the benefits of the survey was that Baltimore County had reduced its sediment control enforcement staff from seven to four inspectors, but restored staffing to seven during the Greater Baltimore Survey period. As a result of this and awareness among developers that their sites were being scrutinized by the public, the volunteers were able to report that compliance had risen from 5% to 44% on 29 construction sites active in the Bird River watershed. In other words, compliance had improved nine-fold between June and November 2014! This is a tremendous success that would not have happened without the 33 Greater Baltimore volunteers and the 58 Bird River Volunteers. To learn more click the following: Bird River Exposed Soil Survey report. The Restoration Campaign sent a letter to Baltimore County Department of Permits, Inspections & Approvals director Arnold Jablon whose agency oversees erosion control enforcement. In the letter the Campaign thanked County Executive Kamenetz, Mr. Jablon and his enforcement staff for making the nine-fold improvement possible. They also requested a meeting to discuss options for increasing the compliance rate to a much higher level. In addition to the 29 active construction sites the Volunteers identified 19 other areas containing 178 acres of exposed soil. These areas include inactive construction sites, former mining operations, several landfills and three dirt parking lots. The Campaign hopes to work with County and State officials as well as the owners to get each area quickly stabilized. Once this goal is achieved all significant sources of sediment in the 26 square-mile watershed should be stabilized. This should then make it possible to redredge Bird River with the expectation that channels will remain sediment-free for a much, much longer time. Sediment is not the only pollutant harming Bird River. Large quantities of nutrients, toxics and other contaminants are washed from the half of the 26 square-mile Bird River watershed which is developed. In fact White Marsh Mall and the Town Center is smack in the middle of the watershed, so even more growth is coming. We’re deeply concerned that like Nottingham Ridge many other future development projects may have been exempted from Environmental Site Design (ESD) requirements. 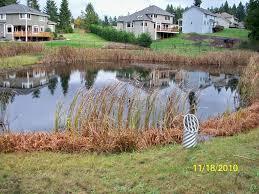 With ESD it is technically possible to get the benefits of growth without any significant impact to aquatic resources. In fact, the use of ESD when redeveloping existing shopping centers, neighborhoods, etc. could be the shortest route to restoring waters degraded by past growth. Baltimore County leads the rest of the state combined in the number of ESD exemptions granted. We hope that a few of the Bird River Volunteers will step forward to do the research needed to identify projects which were exempted but have not been built. We would then work with the developers and County to win better pollution control on these unbuilt development sites. how to get technical-financial assistance with repairs. By engaging the Volunteers in this way, repairs will happen far more swiftly. Around 61,000 people live in roughly 24,000 homes spread throughout the Bird River watershed. To restore the river we must win the support and active participation of a large portion of these residents. But most of these households are not located on Bird River. The question then is how do you get those far removed to help clean up the River? The answer is simple; there are 90 miles of streams tributary to Bird River spread throughout the watershed. No home in the watershed is more than a 15-minute walk from the nearest stream. Yet none of the 90 miles of waters meets criteria we call Child Friendly Waters. These are streams and other waterways that pose no threat to health, are free of quicksand like deposits and other public safety threats, teem with fish and other aquatic life, and can be easily accessed via trails, paddle, etc. 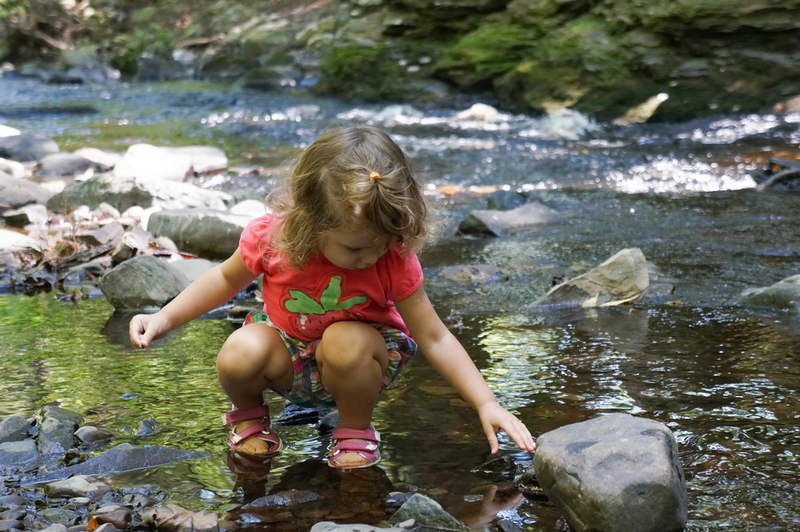 Our goal is to restore not just Bird River but all 90 miles of tributaries to Child Friendly Water status. We hope to do this initially by reaching out to the two- or three-dozen community associations that represent many of those 24,000 households. A number of these associations have already agreed to partner with the Bird River Restoration Campaign. Our message to these groups and their members is really quite simple and logical: We know its impossible to keep our children from playing in these waters so our only option is to restore all to Child Friendly status. A number of Chesapeake Bay watershed jurisdictions have adopted stormwater fees to cover the costs of restoration practices. With a glance at the muddy, lifeless waters those who cherish Bird River can clearly see why their waterway is in urgent need of restoration and why funding is essential. However, most of the 17 million people who live in the Bay watershed are unaware of the direct impact they suffer. 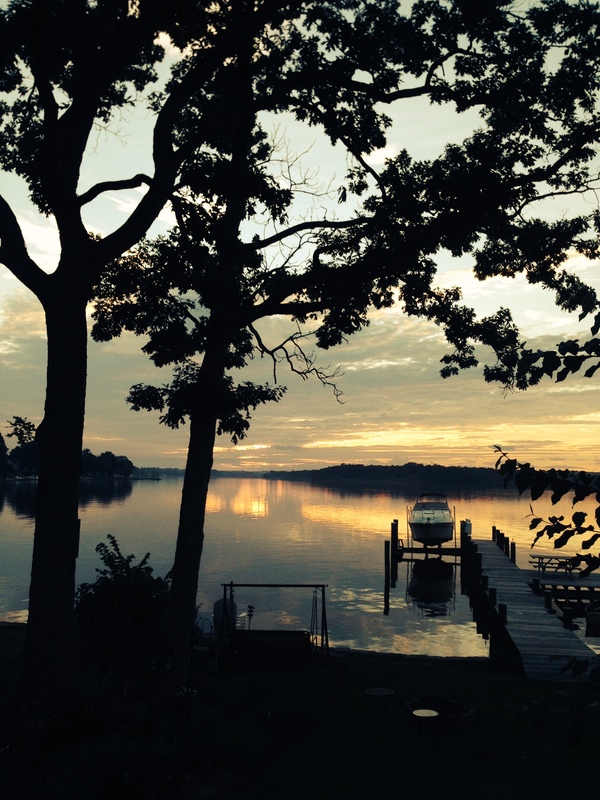 No home in the Bay watershed is more than a 15-minute walk from the nearest waterway. For 70% of the homes the nearest waters are degraded by runoff from neighborhoods, shopping centers, highways and other developed areas. The few who see these waters do so during dry weather when most look quite clean. Yet hidden from view are levels of disease-causing organisms that make the waters unsafe places for our children. Fortunately these waters aren’t very interesting because of a paucity of the fish, frogs and other critters kids love to torment. But we never tell Chesapeake watershed residents about these direct threats to their health and quality of life. Instead we speak in abstracts like nutrient loads or emphasize benefits to waters far removed. If we are to win their support and stop the roll-back of stormwater restoration funding efforts then we must get this blunt message out: Restoring the Bay starts by restoring the waters nearest your home to Child Friendly status. Some counties, cities and other jurisdictions seem to achieve a high clean water law compliance rate with minimal citizen oversight. However, far too many local and state programs exhibit rates of noncompliance which impede restoration of degraded waters. Indeed our failure to see greater Chesapeake Bay improvements despite billions spent could be due to our presumption of compliance, when in fact the level of noncompliance is high. Since no one seems to be gathering independent, unbiased statistics on compliance its hard to say where reality lies. But this we do know. Most enforcement inspectors spend the vast majority of their time working with the folks they regulate. I count more than a few of these inspectors as friends and find most to be dedicated despite having a rather thankless and difficult job. Yet, it is natural for those being regulated to pressure the enforcers to relax their standards. With good support from their supervisors it is easy for the inspectors to stand tough and resist the pressure. But it appears that more than a few local programs have greatly relaxed their standards. This was certainly the case with construction site compliance as revealed through the Greater Baltimore Survey. Compliance issues may be particularly prevalent in jurisdictions where development and real estate money plays a dominant role in who wins local elections. Unless local watershed advocates are making an independent assessment of compliance, then its unlikely anyone else will notice. Unfortunately far too many watershed groups have allowed themselves to become closely aligned with government agencies. Some groups seem to feel they must chose between continued funding and cleaning up significant pollution sources. Others appear to fear a loss of access to government agencies if they delve into sensitive areas like compliance. But if this is your fear then maybe you should consider just how much you sacrifice for the access. In the end, its far healthier to be respected than merely tolerated. By respected I mean calling public attention to failing enforcement programs then supporting the agency in getting the resources needed to do a better job. This is a far better position to be in rather than being tolerated because you seldom make waves. For an introduction to how you can assess clean water law compliance in your watershed, view the 20-minute narrated PowerPoint presentation: Curbing the Big Six Pollution Sources. 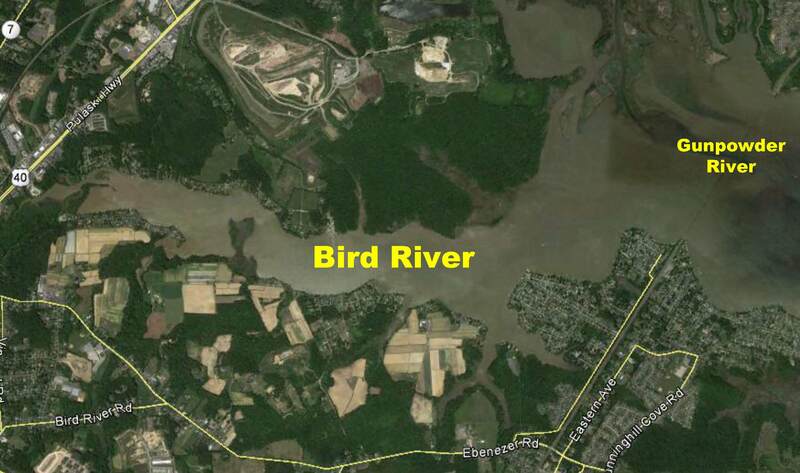 For further detail on the Bird River Restoration Campaign contact Janet Terry at 410-335-8915 or kavakava1216@msn.com. To discuss the January 28th workshop contact Richard Klein at 410-654-3021 or Rklein@ceds.org.